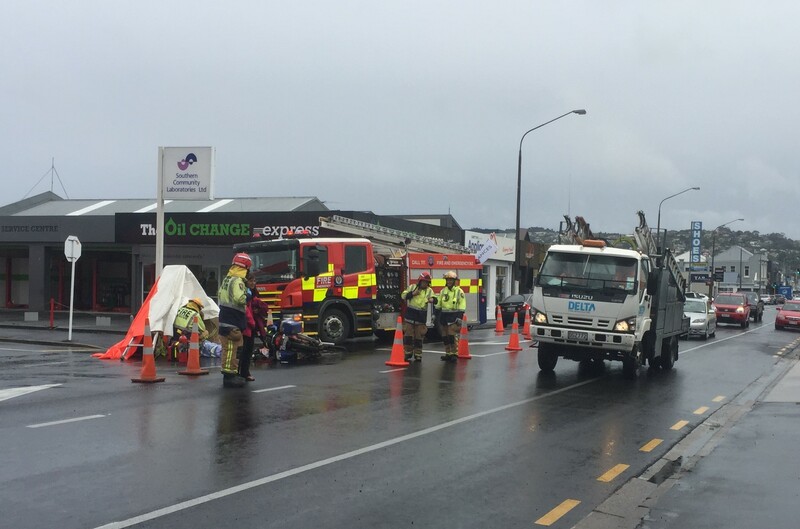 A motorcyclist has been injured after a collision with another vehicle in South Dunedin this afternoon. Emergency services were called to the accident in Hillside Rd near the Warehouse just after 3.30pm this afternoon. A police spokeswoman said the motorcyclist has been injured in the crash but not seriously. St John paramedics were now treating the man and the road was down to one lane.